Monkeypox was first discovered in 1958 when two outbreaks of a pox-like disease occurred in colonies of monkeys kept for research, hence the name ‘monkeypox.’ The first human case of monkeypox was recorded in 1970 in the Democratic Republic of Congo during a period of an intensified effort to eliminate smallpox. Since then monkeypox has been reported in humans in other central and western African countries. In humans, monkeypox is similar to smallpox, although it is often milder. Vaccination against smallpox is assumed to provide protection against human monkeypox infection considering they are closely related viruses and the vaccine protects animals from experimental lethal monkeypox challenge. This has not been conclusively demonstrated in humans because routine smallpox vaccination was discontinued following the apparent eradication of smallpox and due to safety concerns with the vaccine. Limited person-to-person spread of infection has been reported in disease-endemic areas in Africa. Case-fatality ratios in Africa have ranged from 1% to 10%. Monkeypox virus begins with a fever, headache, muscle aches, backache, swollen lymph nodes, a general feeling of discomfort and exhaustion. Within 1 to 3 days fever and a rash with small bumps will develop, often on the face first, but sometimes initially on other parts of the body. The bumps usually go through several stages before crusting and falling off. The illness usually lasts 2 to 4 weeks. 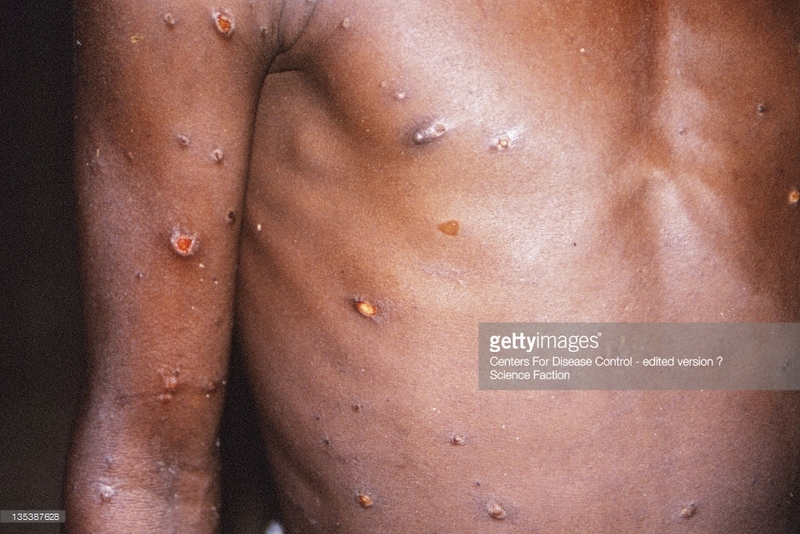 Monkeypox in humans is rarely fatal. Monkeypox has a relatively recent history. It was first discovered in monkeys in 1958, although a “vesicular disease in monkeys” was described in the1860s. The disease, and eventually the causative virus, was named monkeypox because the lesions (pox) seen in monkeys developed like other known pox-forming diseases (pustules that eventually break open, ulcerate, crust over, and some pox form scars in the skin). Later studies showed the “monkeypox” virus was actually sustained endemically in African rodents. It was not until 1970 in Africa (Zaire, now the Democratic Republic of Congo) when a 9-year-old boy (who developed smallpox-like lesions) was the first person to eventually be diagnosed with monkeypox. This situation initially caused concern that smallpox may also have an animal reservoir or endemic population that would make eradication of smallpox impossible. Fortunately, this was not the case because monkeypox was found to be a different species of pox virus, and smallpox was eradicated from the human population by vaccinations in 1979 (currently, only a few research labs have access to smallpox viruses). Monkeypox is now the major Orthopoxvirus that infects humans and fortunately, not frequently. However, vigilance is warranted as there have been several outbreaks of monkeypox since the 1970s. Although most have occurred in Africa (mainly western and central Africa), there was an outbreak in the U.S. in 2003. This apparently happened when an animal distributor either housed or transported monkeypox-infected African rodents (Gambian rats) with prairie dogs that were later purchased as pets, became “sick,” and transmitted the disease to their owners. Monkeypox begins with fever, headache, muscle aches, and exhaustion. The main difference between symptoms of smallpox and monkeypox is that monkeypox causes lymph nodes to swell (lymphadenopathy) while smallpox does not. The incubation period (time from infection to symptoms) for monkeypox is usually 7−14 days but can range from 5−21 days. The illness typically lasts for 2−4 weeks. 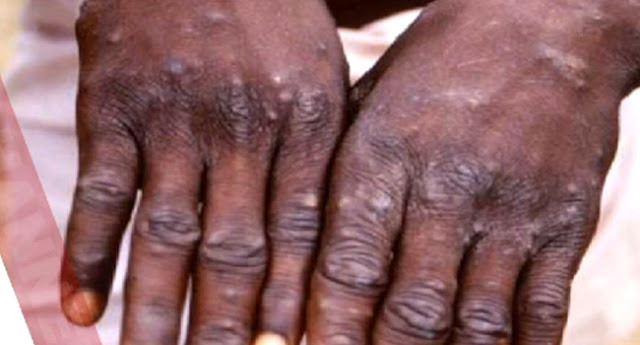 In Africa, monkeypox has been shown to cause death in as many as 1 in 10 persons who contract the disease. What exactly are risk factors for monkeypox? Monkeypox is a comparatively unusual disease. Risk factors include pet animal bites and scrapes from infected pets (mainly African rodents or monkeys) or from other rodents (like prairie pet dogs) which may have had a connection with African animals contaminated with the Virus. People should avoid eating any meat from such animals is advised. Recent studies show that several types of mammals can be attacked with monkeypox, even though the species had never been associated with the virus in their normal environment. Person-to-person contact, although infrequent, can be reduced or avoided by avoiding immediate physical connection with the individual and getting the patient’s caregivers wear gloves and face masks. Importation of exotic animals as domestic pets poses a threat to the health of both people and animals by introducing nonindigenous pathogens. Animals, especially those implicated above (see Causes) or those in contact with them, demonstrating signs of respiratory distress, mucocutaneous lesions, rhinorrhea, ocular discharge, and/or lymphadenopathy should be quarantined immediately. Avoidance of contact, especially bites, scratches, and exposure to fluids/secretions, is essential. Guidance can be obtained from veterinarians, state/local authorities, and the CDC. See the current CDC recommendations at Monkeypox Infections In Animals: Updated Interim Guidance for Veterinarians.